Zempa Coin is a coin established on the WAVES blockchain for Phase 1 Token Sale purposes. Zempa is an ERC-20 Token that will launch with the final token sale. Problem: Purchasing currencies or even investing in Token Sales can be laborious and expensive. Currently, if an investor wishes to purchase a new coin, they must first go to a major exchange to purchase either Bitcoin or Ethereum. (Fee 1 and Transaction Confirmation 1.) The user then has to create an account on whichever exchange allows the trading of the users desired currency. The user initiates a transfer of their Bitcoin to Exchange B. (Fee 2 and Transaction Time 2). After waiting on this transfer, the user is now able to purchase the desired currency. (Fee 3 and Transaction Confirmation 3). This entire process may take hours in what could be a timely situation, all while incurring fees. That is a problem. Solution: The Zempa Universal Wallet Pool. Our cryptocurrency pool will enable users to initiate transactions using currencies they dont own themselves but are contributed into the Pool by other uses for rewards based on the desired currencies demand score. 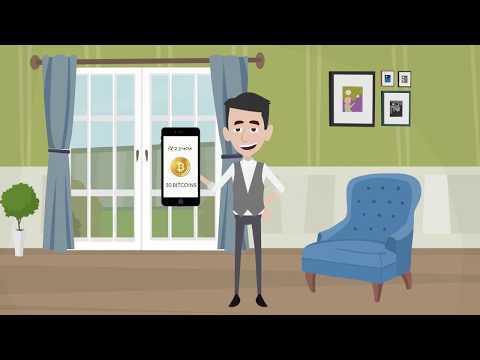 The Universal Wallet is a decentralized pool of cryptocurrencies that enable users to initiate transactions using currencies they dont own, against the value of currencies they do own while those contributing the desired currencies are rewarded in Zempa tokens based on the demand for said token. Site Network lead by community interests. Crypto Investment and News Site. Coin Casino For Crypto Gaming. Future Sites Dictated by Community Demand. Developmental projects to be announced. Our Phase 1 Token sale is to establish the funding necessary for Proof Of Concept and Prototype Development in preparation for our primary token sale. This will also provide us with an adequate marketing budget. We will conclude our first phase token sale and distribute Zempa Coins to those who participated in Bounties. Those who purchased Zempa Coins on the WAVES Dex will already have their coins. These will be exchanged for Zempa on the ERC-20 Blongchain at the conlusion of our Primary Token Sale. We begin our Primary Token Sale and launch our ERC-20 Token “Zempa”! During this token sale we will unveil the latest developments, concepts and prototypes of the Zempa Universal Wallet, our Zempa Vendor Plugin for use by Online Vendors to accept Zempa on their websites and future plans. We conclude the Primary token sale and get to work on completing the development of Zempa UW and Plugin systems while continuing to build relationships in the vertical. Launch the WordPress E-Commerce plugin enabling WordPress store vendors to accept Zempa for purchases. We will be launching a micro-blogging social media platform that enables users to purchase followers from within the site. Followers purchased will receive a portion of the Zempa generated. In other words, it may cost 50 Zempa to purchase 100 Followers at a time. These followers will split 25 Zempa. This will help Zempa bring in more Zempa to be used as rewards in our Universal Wallet Pool while rewarding active micro-bloggers. We will be launching a new microjob site, the likes of Fiverr.com that will enable Gig workers to accept Zempa in exchange for services. A small portion of each job’s revenue will be retained by us as a service fee and further fuel the Zempa Eco-system. Its our goal to further expand the Zempa Eco-System by taking current online concepts and bring them to the blockchain such as Micro Jobs, Micro Blogging and more. We will announce some of these side efforts in due time. We expect to launch the beta testing much sooner than Sept 2018, however that will be dictated partially by the budget available for expanding our development from the token sale phases.